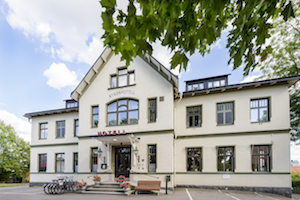 As a jewel on Lake Mälaren, in central Sigtuna and only 15 minutes from Stockholm Arlanda Airport, you will find Sigtuna Stadshotell. A five-star conference hotel and appreciated meeting place for national and international meetings and conferences. 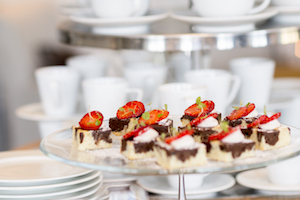 We will help you to plan your meeting and a conference coordinator will follow you before, during and after the meeting. Through our 24-hour service, we offer personal check-in of early and late arrivals, make adjustments to your arrangements, order transportation, late conference facilities and much more. 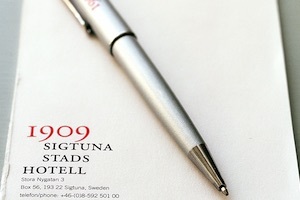 For personal viewing of Sigtuna Stadshotell, please contact us for a meeting. 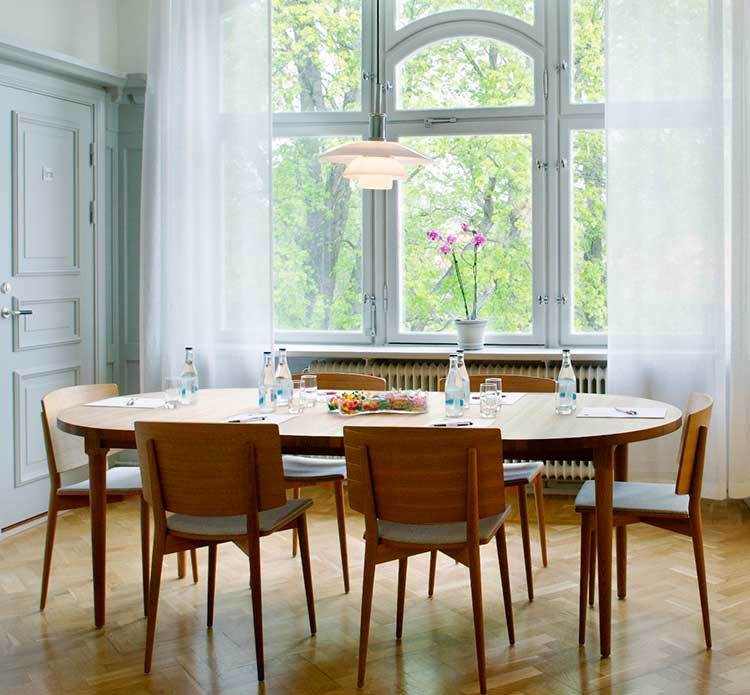 At Sigtuna Stadshotell we have four conference rooms and two smaller meeting rooms, all with windows and views. Here you can find space for both work and relaxation. The smaller meeting rooms are all perfect as a preparation room for you who conduct a meeting in another room or to use as a boardroom or group room during a conference. What room suits your needs? 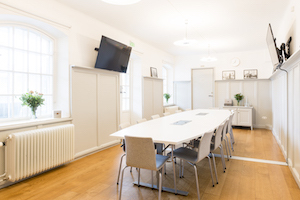 A fantastic conference room with secluded location and Lake Mälaren view for a group of up to 30 people. 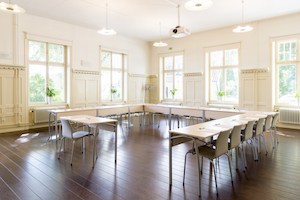 The hotel's largest conference room for up to 40 people in school seating. A bright room with windows along two walls. The hotel's Junior Suite overlooks Sigtuna city. Suitable for the small meeting up to eight people. 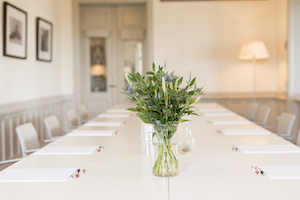 Bright and beautiful boardroom on the lake side overlooking the garden and the water, for up to 14 people. Bright and beautiful boardroom with some lake view and windows along 2 walls. Perfect for up to 20 people. Join us for a full day with overnight stay. We offer 24-hour service. Arrange a conference a day in Sigtuna. We have rooms for both smaller and larger parties. Continue the conference another half day and end with afternoon coffee. 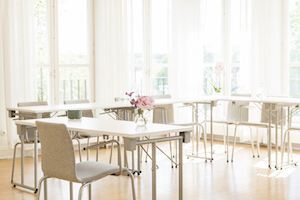 End your work week with a Friday conference in Sigtuna.